If you couldn’t go to Bonnaroo this year, we missed you…but you don’t have to miss all the action. And if you were in Manchester for the festival, you’ll want to make the experience last. That’s why we’re creating the Live From Bonnaroo 2009 DVD, mixed in 5.1 surround sound with performance footage, artist interviews and backstage action. Order the Bonnaroo 2009 DVD now and get a special, limited-time price of $15 (plus shipping and handling). 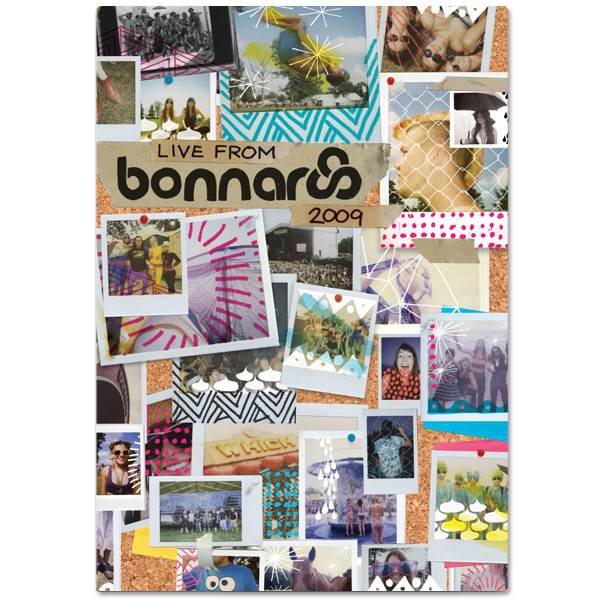 The DVD will ship out to you by December 1, just in time for the holidays—and to start getting excited for Bonnaroo 2010! CLICK HERE to view the trailer from 'Live from Bonnaroo 2008'! Performers and track listing for 2009 will be announced by October 1. Please note, all orders containing the 2009 DVD will be held until the December release date, so if you would like to receive other merchandise sooner, please place separate orders.